Want to add labels to all your old posts? 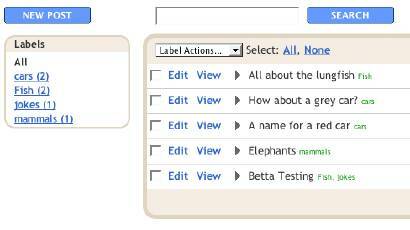 There's a new labels management feature to make this easy. On the Edit Posts page, you can select batches of posts and add or remove labels to all the posts at once. Let loose your internal librarian! Happy labeling.